Chris Hemsworth is an Australian actor known for his role as Thor in the Marvel Cinematic Universe films. He first gained fame as an actor, playing Kim Hyde in the Australian TV series Home and Away. His other notable films include Snow White and the Huntsman (2012), Red Dawn (2012), Rush (2013), Blackhat (2015), Ghostbusters (2016) and 12 Strong (2018). Chris Hemsworth was born on 11 August 1983, in Melbourne, Victoria, Australia. Chris went to Heathmont College in Victoria, Australia. Chris Hemsworth married Spanish actress Elsa Pataky in December 2010. Together, they have three children, a daughter, India Rose Hemsworth (b. May 8, 2012), and twin sons, Tristan Hemsworth and Sasha Hemsworth (b. March 18, 2014). Chris Hemsworth made his onscreen debut in J. J. Abrams’ film Star Trek, portraying the role of James T. Kirk’s father, George Kirk. In 2002, Hemsworth was cast in two episodes of fantasy television series, Guinevere Jones as King Arthur. This role marked his debut in television. 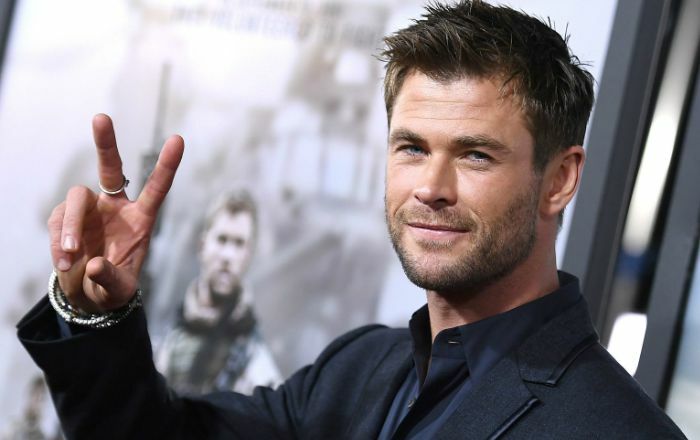 Hemsworth gained international fame and recognition for playing Thor in the Marvel Studios films Thor (2011), The Avengers (2012), Thor: The Dark World (2013), Avengers: Age of Ultron (2015), Doctor Strange (2016), Thor: Ragnarok (2017) and Avengers: Infinity War (2018). His portrayal of Kim Hyde in Australian TV series Home and Away earned him the much-needed acclaim which led him to land on leading roles in films. Hemsworth’s net worth is estimated at $70 million dollars. He lives in Byron Bay with his family. He owns an Acura MDX. Chris learned American English at Screenwise Film & TV School for Actors in Sydney, Australia. He worked a lot to gain an American accent for Hollywood films. He voiced the characters Thor and Kevin Beckman in the video games, Thor: God of Thunder and Ghostbusters, respectively. In 2006, Hemsworth appeared as a contestant on the fifth season of Dancing with the Stars Australia, partnered with professional dancer Abbey Ross. He is a fan of the Australian football and backs Western Bulldogs. Hemsworth was named as one of the Cosmopolitan’s Fun and Fearless men in 2011. In 2013, Chris was ranked at #7 in the Glamour’s list of “50 Sexiest Men”, behind his younger brother Liam Hemsworth. He will reprise the role of Thor in the Avengers: Infinity War’s sequel, planned for a May 3, 2019, release in the US. Chris is best friends with Tom Hiddleston, Sam Perry, and Chris Evans.